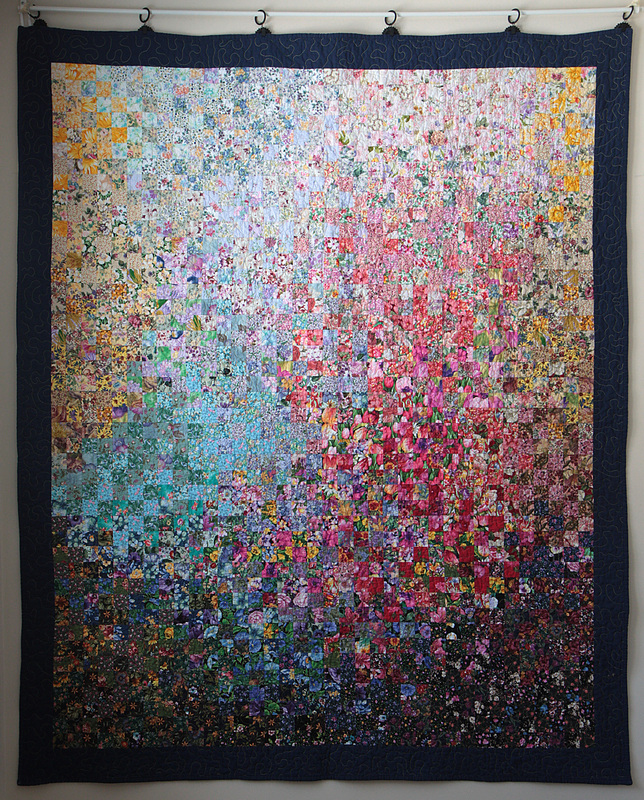 I made this quilt for a challenge we had with the Minneapolis Modern Quilt Guild called “out with the old”, where we were to use some of the oldest fabric in our stash. I got these floral squares from ebay way back when I first started quilting and the quality was not great, but I decided to try out making a watercolor quilt with them anyway. I blogged more about the process of sewing this quilt here.